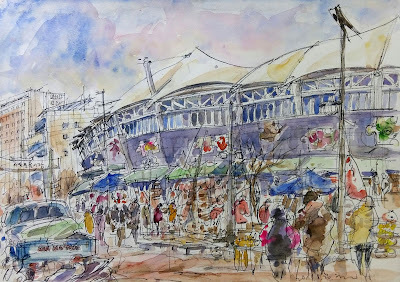 Last Saturday, for the 62nd World Wide SketchCrawl, we Seoul urban sketchers met at Seoul Folk Flea Market (서울풍물시장), Sinseol-dong (신설동), Dongdaemun-gu. 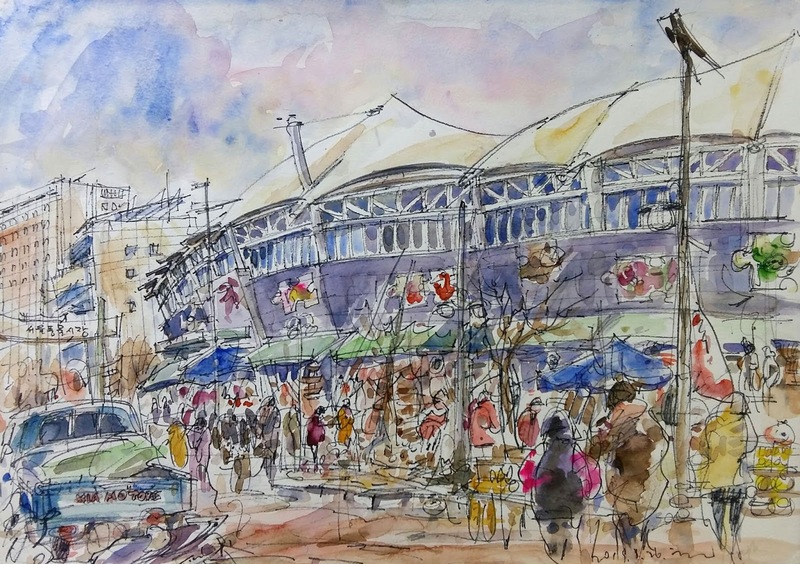 The market is well known as the largest flea market in Korea, and all the street around market were crowded with customers and vendors all the year round. 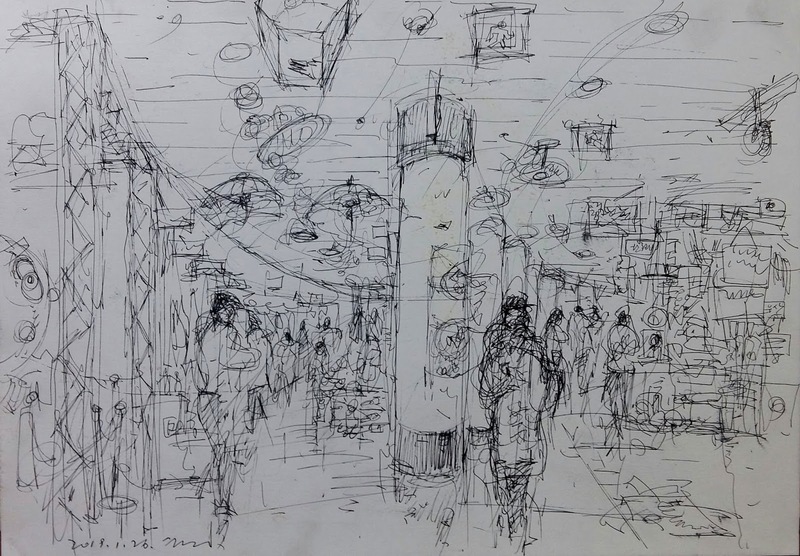 There are lots of sketching subject matters such as various kinds of regional specialties, antiques, craftworks, pottery, variegated necessaries of life, rare objects and many others. 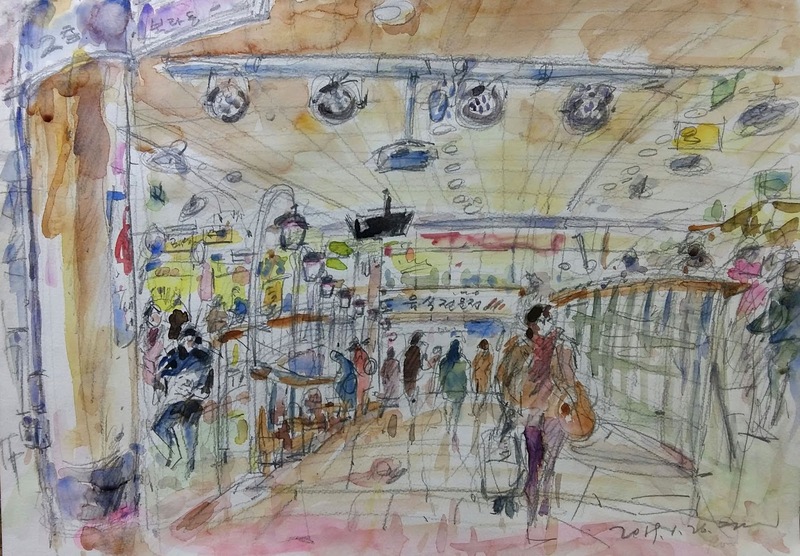 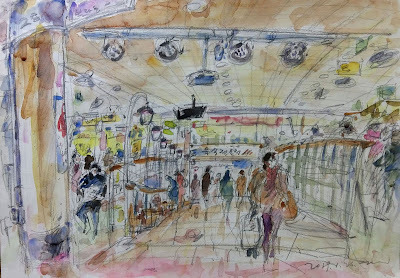 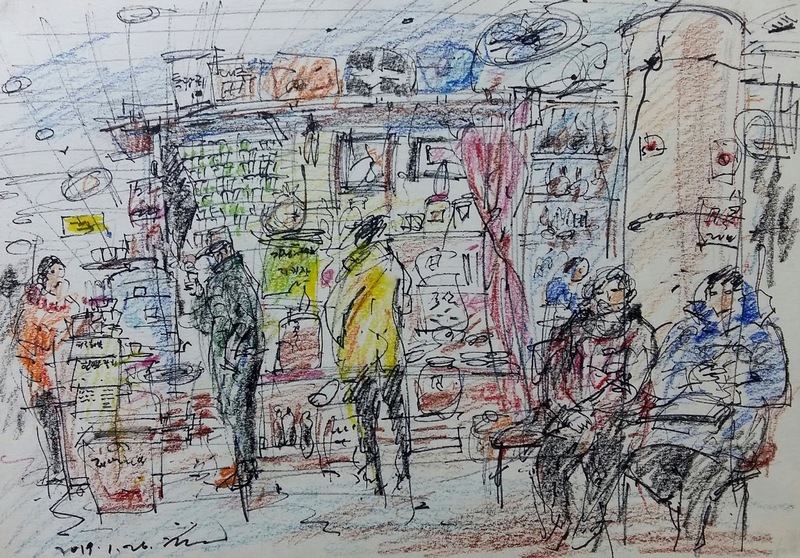 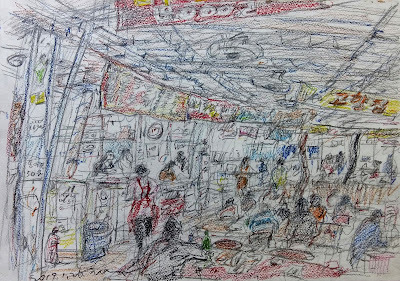 It was very cold and windy outdoors, but inside the market building was so warm by many heaters and vibrant atmosphere for enjoying sketch pleasantly. 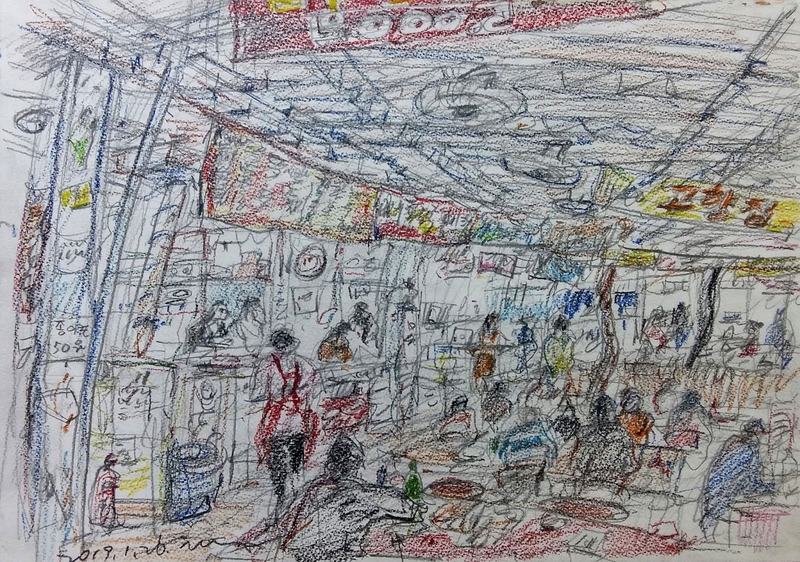 I've visited here to sketch many times before, so all the colorful scenes were not stranger to me. 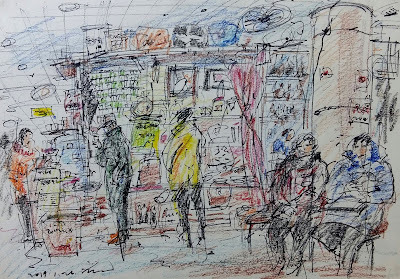 I tried to sketch the familiar scenes in and out of the interesting flea market with a new perspective. 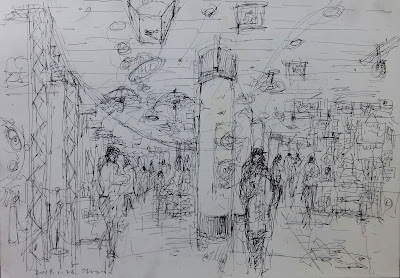 It's a certainly useful experience to repeat sketching on the same spot many times. 훈훈한 옛날시간 속으로 들어가 변해가는 오늘을 보는 장소..
그려도 그려도 소재가 넘쳐나는 생활 스케치의 명소입니다. 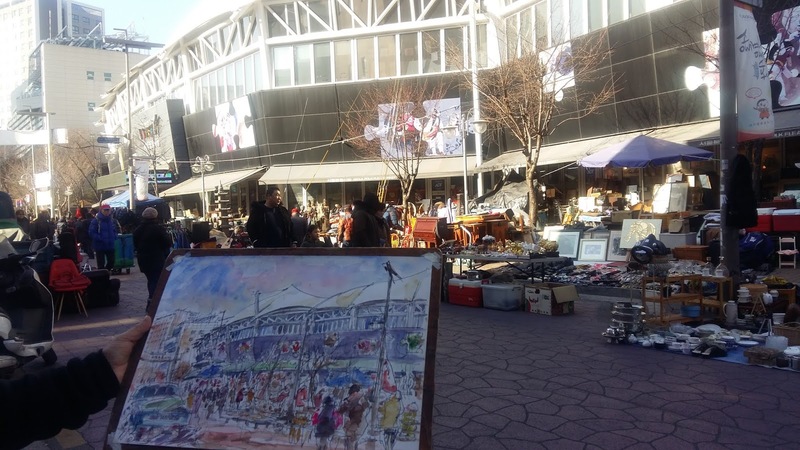 그리고 싶었는데 시간도 없고 춥기도 하고..